Munich is the archetypal German city. On the one hand, it’s a modern, thriving place, famed for technology and the latest in motor engineering. Yet, it’s successfully preserved its medieval heart, too – the centre of Munich is dripping with Baroque touches. This city was a major player in medieval times, when much of its finest architecture was erected. Today you can tour the very best of it, from the grandest edifices to the tiniest churches tucked away in the city streets. A trip to Munich is about enjoying the blend of old and new, so embrace the contemporary side, too – the thriving street art scene, trend-setting boutiques and innovative restaurants revitalising the Bavarian palate. Best of all, with car hire in Munich you can enjoy all the city’s main attractions and explore the rest of beautiful Bavaria. Munich is a city that prospers all year round. Its summers are sun-kissed, its winters glow with cosy Christmas markets, and, in between, Oktoberfest transforms the city into a giant party. Whatever date you’ve set for your trip, you’ll find a myriad of attractions which tell the story of Munich’s history and future. 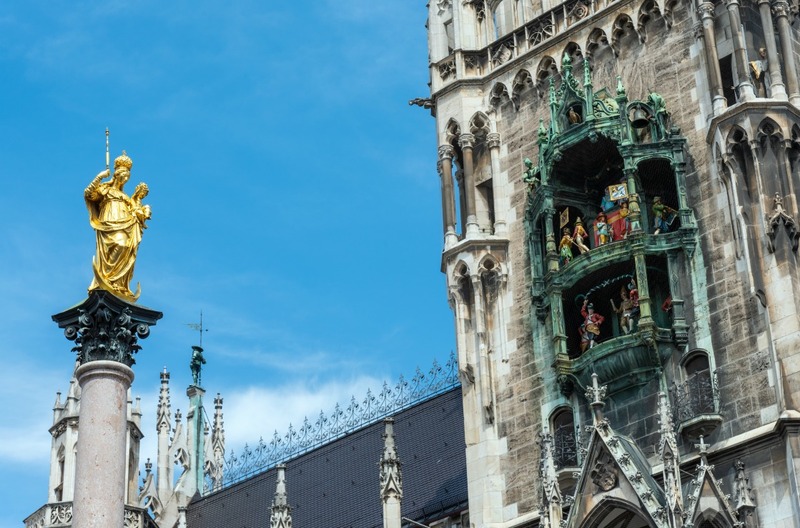 The real heart of Munich, Marienplatz is also one of its biggest attractions. A community square designed in the grand old European sense, this inner-city space is lined with historical buildings and quirky design touches. Tourists gather here, outside the lavish town hall – Neues Rathaus – to watch the famous Rathaus-Glockenspiel tick into action. This famous cuckoo clock conjures up a 12-minute long show three times per day. The 32-strong cast of figures tell two different stories at the regular times of 11am, noon and 5pm. Standing tall in the centre of Marienplatz is Mariensäule, translated as St Mary’s Column. The gold-topped structure has stood here since 1638, commemorating Bavaria’s victory over Sweden in the Thirty Years War. A few steps away, the old town hall – Altes Rathaus – is another highlight of the square. Tracing its history back to 1310, it was the city council’s home until 1847. The building you see today was reconstructed in the 1950s, after being destroyed in World War II. Venturing out of the centre, drive 20 minutes west to the resplendent Schloss Nymphenburg, built at the behest of Princess Henriette Adelaide of Savoy and Ferdinand Maria, the Elector of Bavaria. Construction began in 1664, taking around a decade to complete the main body of the palace. It gleams with indulgence both inside and out, with a carefully designed park leading into the ornately decorated interior, where ceilings are painted with vibrant frescos, and huge chandeliers glint in the sunlight. Tour the Gallery of Beauties – the Schönheitengalerie – the King’s Chamber and, outside, the Amalienburg hunting lodge. There are some breathtaking churches scattered across the city. The lavish Asamkirche was built by the Asam brothers in 1746, who crammed as much detail as possible into their modestly sized place of worship. The Frauenkirche on Frauenplatz is on a grander scale, originally built in the late 15th century and restored to its former glory after the damage of World War II. The 99-metre-high twin towers are an iconic part of the Munich skyline – interestingly, no other city centre building is allowed to be taller. 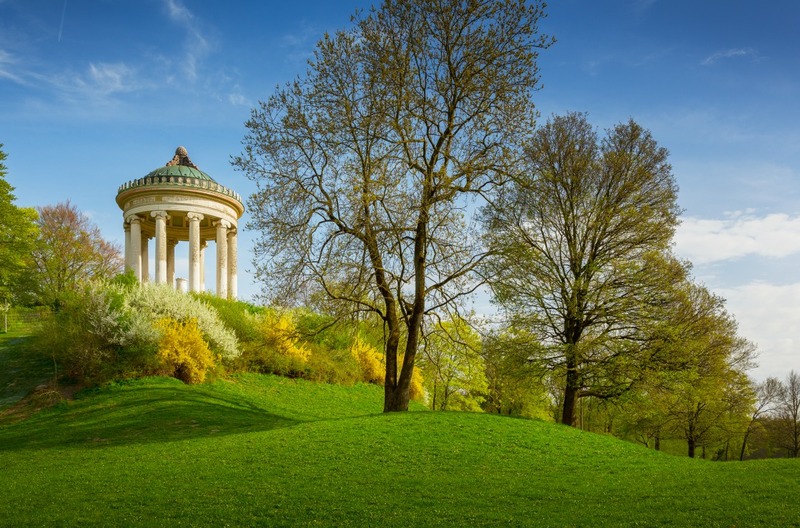 On a sunny day, there’s little better than to wander through the Englischer Garten, translated as the English Garden. This leafy space has provided an inner-city oasis for locals since the 18th century. It’s bigger than New York’s Central Park and filled to the brim with calming features, including the Japanese Garden, the Monopteros Greek temple, mighty trees and towers, jovial restaurants and even resident sheep. Whether you have an affinity for ancient art or cutting-edge technology, Munich has a museum to please. The Residenzmuseum embraces the majesty of the grand old building – Bavaria’s rulers resided here for 400 years – which is filled with rich displays of royal belongings. Frescoes, antiques and portraits line the impressive rooms of this vast place. Drive 10 minutes east and delve even further into the past at the Glyptothek museum, which is overflowing with venerable Roman and Greek statues and monuments. Embrace the future at the Deutsches Museum, which makes science interactive and fascinating for all. Kids can get involved with glass-blowing and more – there’s probably a couple of days’ worth of things to see and do at this, the largest science and technology museum in the world. For motorheads, BMW Welt is a given. This car museum celebrates the importance and influence of BMW in the city, in a landmark building that highlights the company’s long-running history while delighting visitors with the very latest models. Your children might already have been entranced by the BMW Welt with its workshop for kids. However, that’s just the start of family fun in Munich. 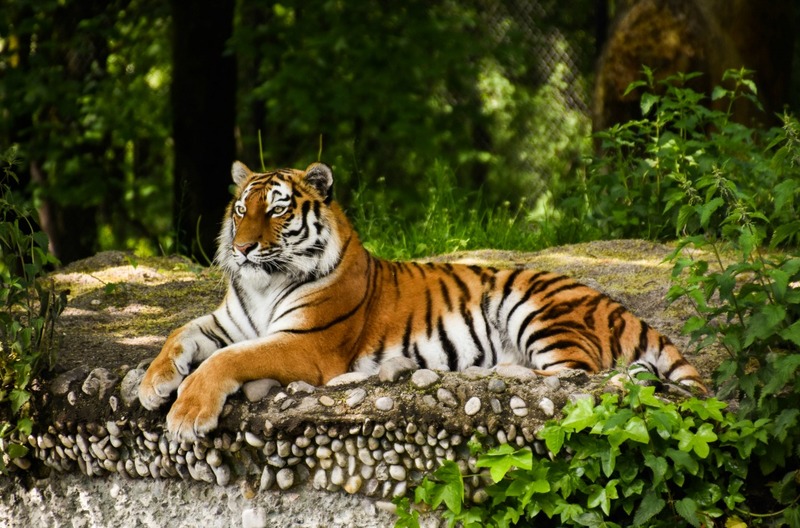 South of the city you’ll find Hellabrunn zoo, home to a beautiful population of animals ranging from the exotic to the endangered. There’s an admirable focus on conservation and preservation here, while children will adore spotting the polar bears, monkeys and penguins. The city’s hotel offering is as varied and comprehensive as you’d expect from such a popular place. You’ll find the full range from high-end, as well as a growing number of boutique hotels in Munich. The Leonardo ticks more than a few boxes. Simple and modest, you’ll find this gem in the cool Schwabing neighbourhood, close to most of the main attractions and just minutes from the English Garden. The Louis Hotel is a more luxurious option with a quirky touch, boasting a rooftop terrace, spacious rooms and on-site Japanese dining. It’s close to the bustling Viktualienmarkt stalls and little more than a minute’s stroll from the beating heart of the Marienplatz. If you’re looking for five-star hotels in Munich, consider the elegant Mandarin Oriental or 19th-century classics such as Bayerischer Hof or the Hotel Vir Jahreszeiten Kempinski. You can expect pampering and old-world discretion at all of these revered institutions. Munich’s big city status guarantees you’ll find somewhere fantastic to chow down. The restaurants here run the gamut from old-school Bavarian bierkellers, where sausages and sauerkraut are piled high, to Michelin-starred gastronomic experiences. You’ll find most international cuisines represented here, while Munich also caters for vegetarians, vegans and food intolerances with aplomb. The grandfather of traditional Munich merriment is Hofbrauhaus, one of Germany’s most famous taverns. Lock up the car for the night and enjoy an evening in this legendary beer hall. The raucous atmosphere, resident oompah band and hearty fare deliver the stereotypical Bavarian experience. Go for local sausages and cheese, the roast pork knuckle or the classic Wiener Schnitzel. For a wholly different style of eating, book well ahead for a table at two-Michelin-star-winning Tantris. The tasting menus showcase the sublimity of head chef Hans Haas’ cookery skills. Past delights include venison saddle with wild mushroom spätzle and confit dover sole with lime cream, served in the elegant surroundings of the lamp-lit, autumnal venue. Stepping away from German food, L’Osteria has earned the reputation of the cool restaurant in Munich. This micro-chain has been serving up affordable and delicious Italian food across Germany. Tuck into a menu of pizza and pasta, tweaked to reflect the best of the season. Sitting in the south east of Germany, Munich provides a great base for exploring the historic region of Bavaria by car. 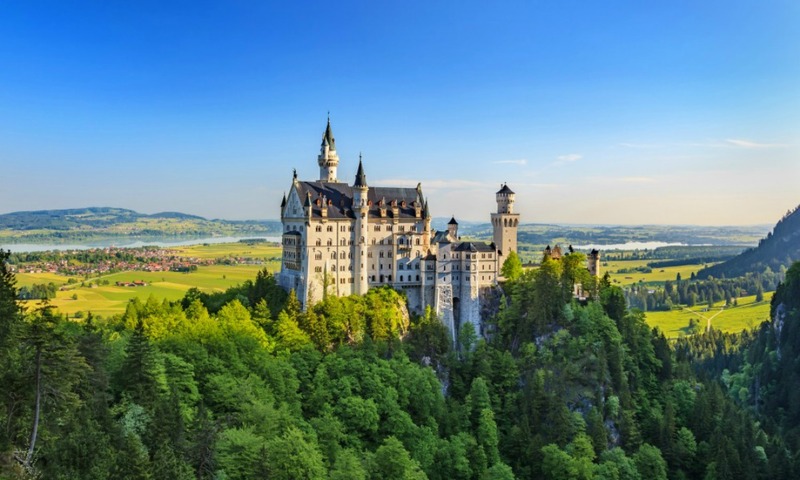 Taking first place at the top of many people’s Bavarian bucket list is the ever-romantic Neuschwanstein Castle, which is around a two-hour drive from Munich. The castle was built on the orders of King Ludwig II, although he died before it was completed. It’s easy to see how it inspired Walt Disney – this towers, spires and forested surroundings look like they’ve been lifted straight from a fairy-tale. The king did, however, get the chance to live in the completed Linderhof Palace, closer to Munich. Finished in 1878, this ornate palace doesn’t disappoint in terms of decoration. It marries Rococo and Baroque styles throughout, though the star of the show is undoubtedly the Hall of Mirrors. Some of the elements defy belief – and, occasionally, taste – like the crystal chandelier which weighs half a ton, a mechanical dining board and an artificial cave. The rather eccentric Ludwig rarely entertained here, but he did pretend to – demanding that the table was laid for imaginary guests such as Marie Antoinette. Fall in love with this German city, both for its beautiful past and its contemporary future. Organise car hire in Munich and relish the magic of Bavaria.